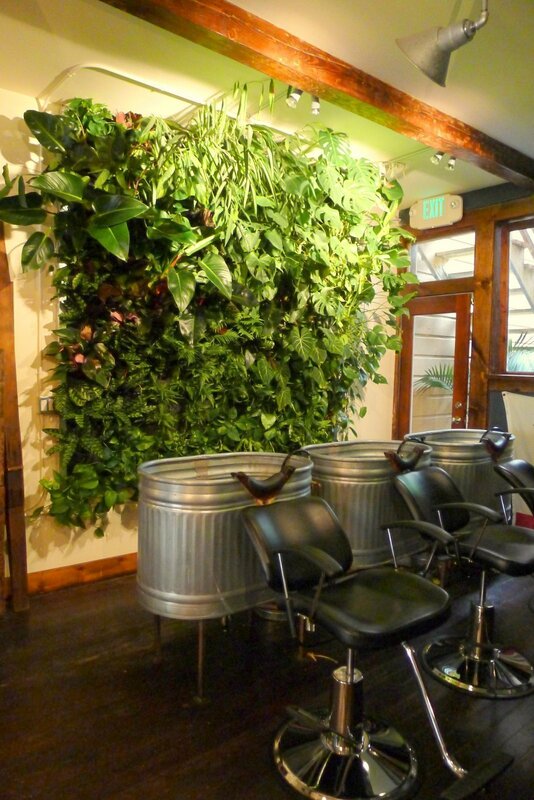 Experience plants at this hair salon’s vertical garden washing station. 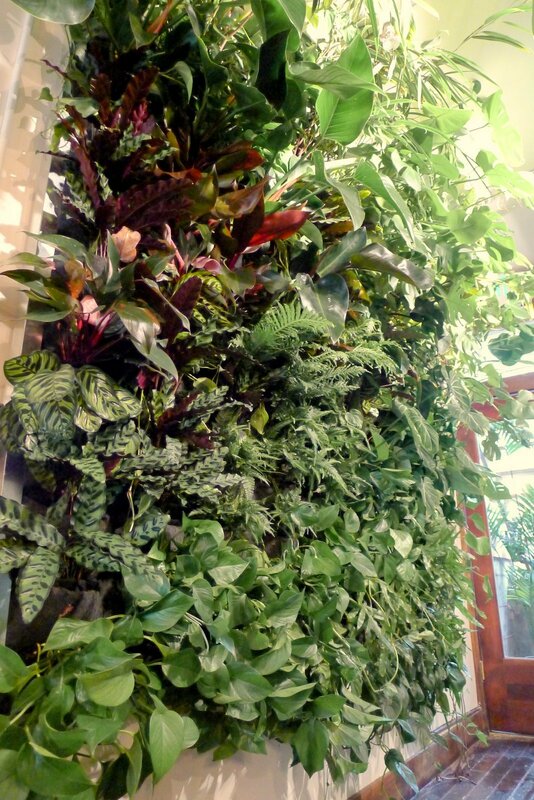 Brian of Population Hair Salon in San Francisco’s hip NOPA district asked Chris Bribach of Plants On Walls to create a plant wall for his new salon. 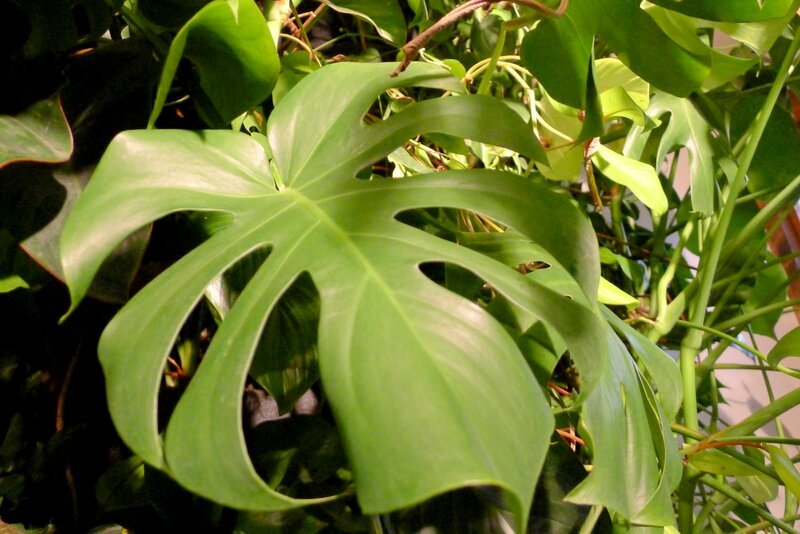 Florafelt planters were filled with a jungle of tropical plants. 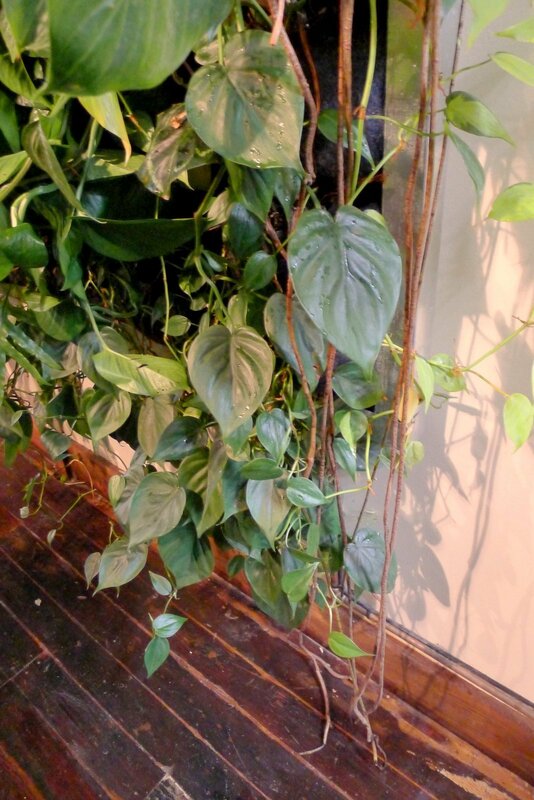 Big roots have emerged from the garden showing maturity.